This week’s participant blog post comes from Hannah Froiland, one of the participants on this year’s Yahel Social Change Program. Every week, we feature reflections and thoughts from different participants on Yahel’s programs. As our time on the Yahel Social Change Program comes to an end, the groups has been having conversations around how we will take our experiences home with us. Something I have been thinking about is telling my family and friends about my experiences here- how do I sum up everything we’ve done and learned this year? This last week we did an activity where we all chose three photographs and used them to help tell our stories to each other. I’m going to share with you what photographs I chose and why. The first photograph is a group picture from our seminar in the Negev in February. 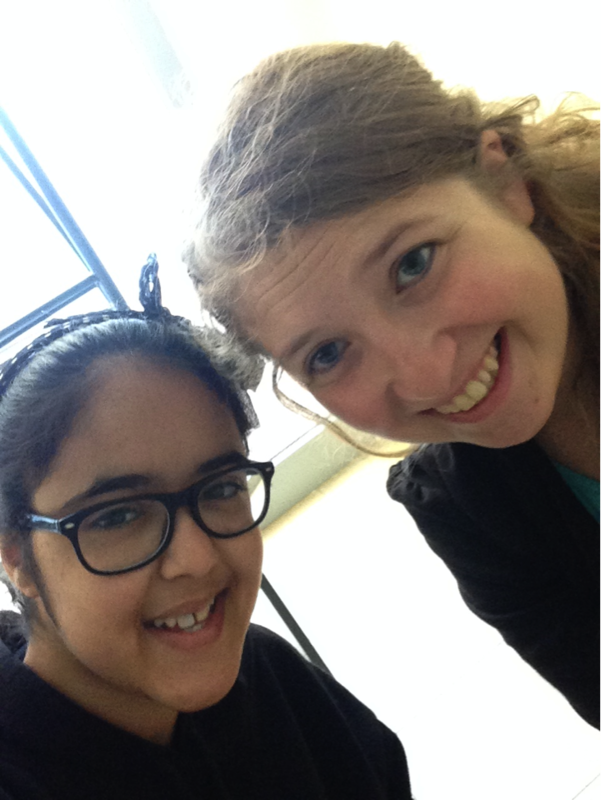 The friendships I’ve formed with our group and the learning we do together have been a huge aspect of my time here. During the seminars we got to spend a lot time together learning and grappling with difficult issues, going on beautiful hikes, and just hanging out having sing a long sessions or playing a ridiculous game of charades. Having the support from others in the group and our group’s ability to also have fun and be silly together has been really important for me as I engage with tough issues. The second photograph I chose is one of my ninth graders at Netevei Noam, one of the local high schools where I volunteer. I have really enjoyed my volunteer placements at the high school, and I have been able to form meaningful relationships with my students. The challenges at the schools are also an important part of my story. I still don’t completely understand how Israeli schools run. Sometimes it was really hard when the kids just were not interested in working, and forming relationships can take time. I am going back to school this fall to get my Masters degree in International and Multicultural Education, and my experiences in the schools have fueled my desire to pursue a career in education. My last picture is from the community garden that mqny of us worked in every week. 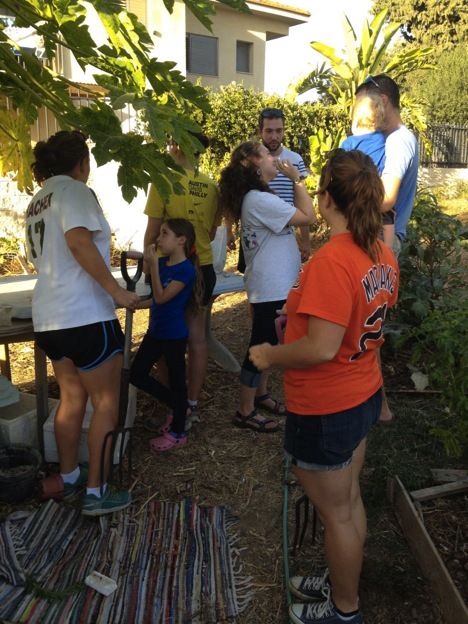 It was a place where we got to work side by side with people from our neighborhood and other parts of Gedera. In the last couple of months the garden has also shown me some of the challenges of social change. Around Passover, the part of the garden women from Shapira had their plots got paved over and more recently the municipality shut the water off, so right now the garden isn’t happening. It’s unfortunate to see an important community meeting place fall on hard times, but I have great memories of working there and I hope it will be able to continue soon. There is, of course, so much more I am taking back with me than what is in these three pictures. However, they do capture some of the most important parts of my story about this last year: the friendships, the learning, and the successes and the challenges in my experiences in volunteering in this community.